How is it November already?!? 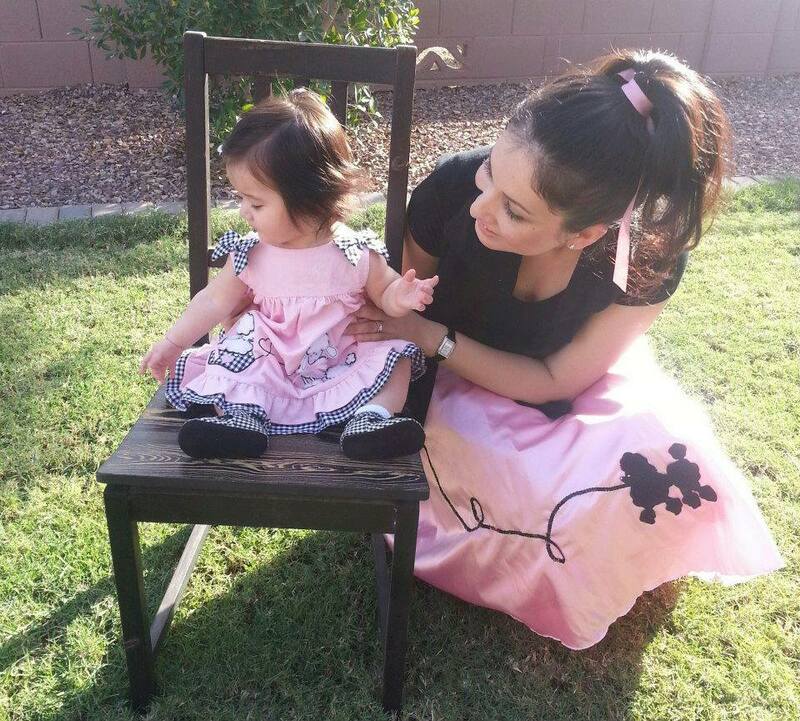 When I had my first born, I was so excited to have a living breathing doll to dress. 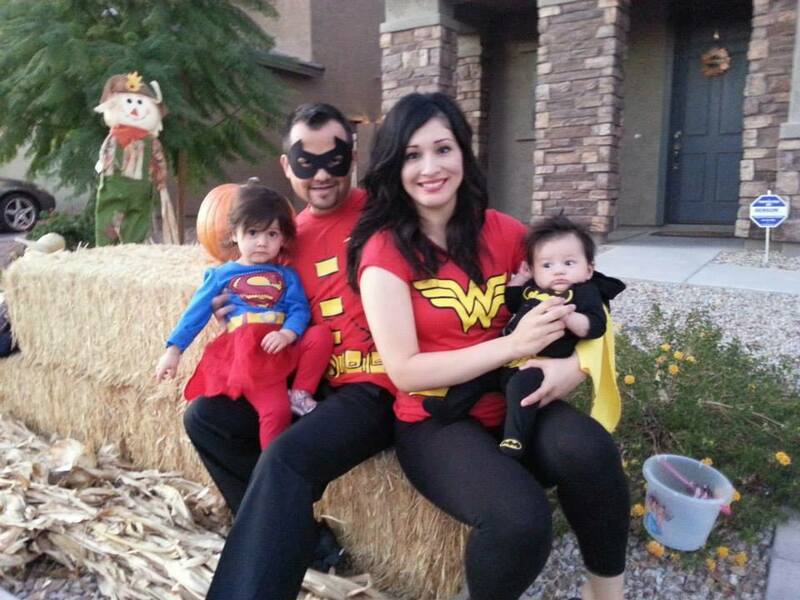 You better believe I took any opportunity to dress her up and when her first Halloween came, I was ready. 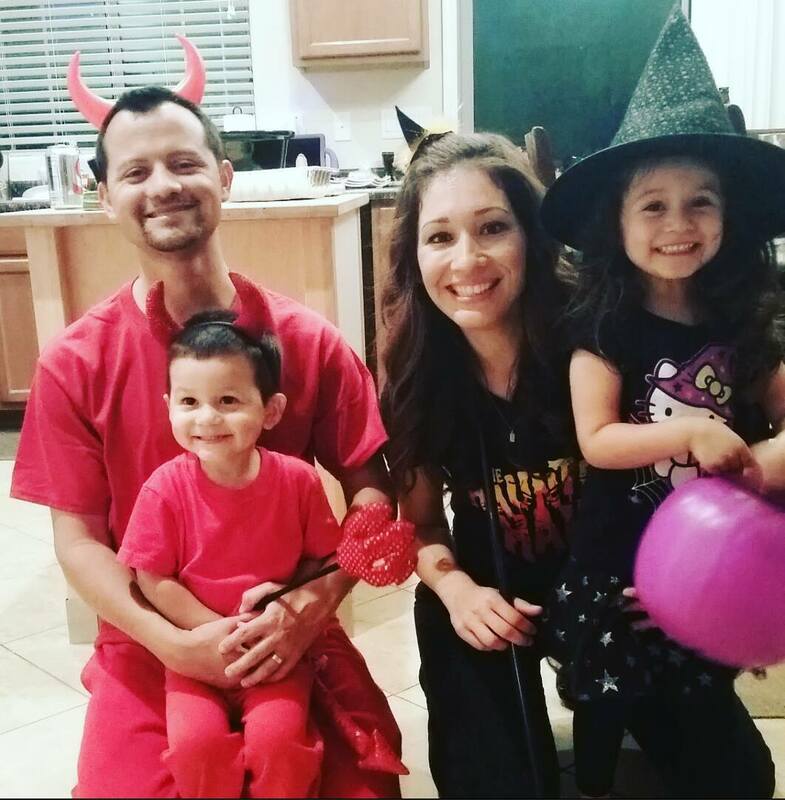 The following year, my daughter wanted to be a witch, lol! 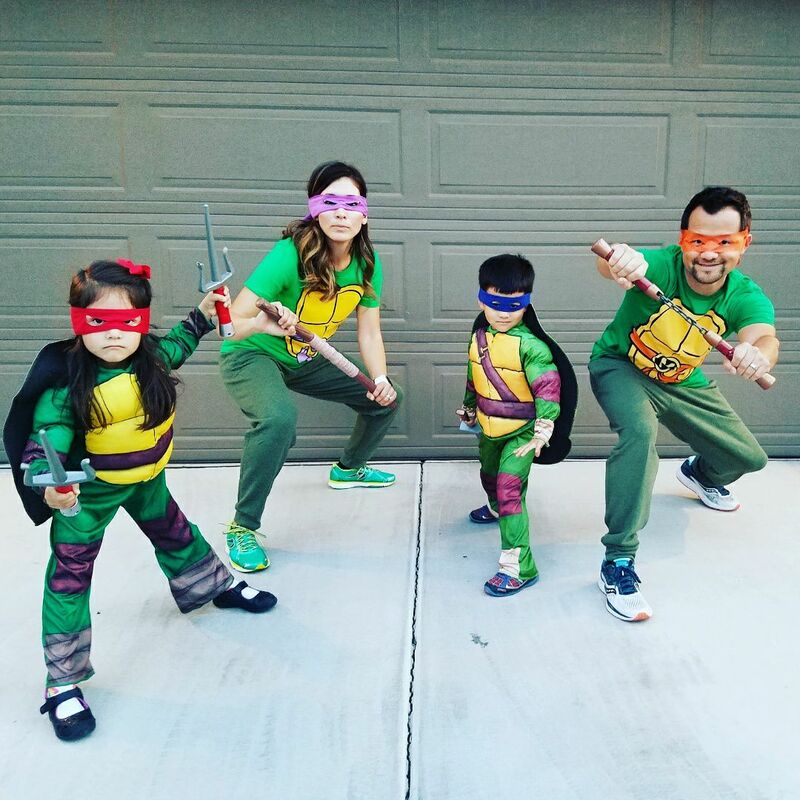 Both kids are digging the Teenage Mutant Ninja Turtles so this year was easy peasy! 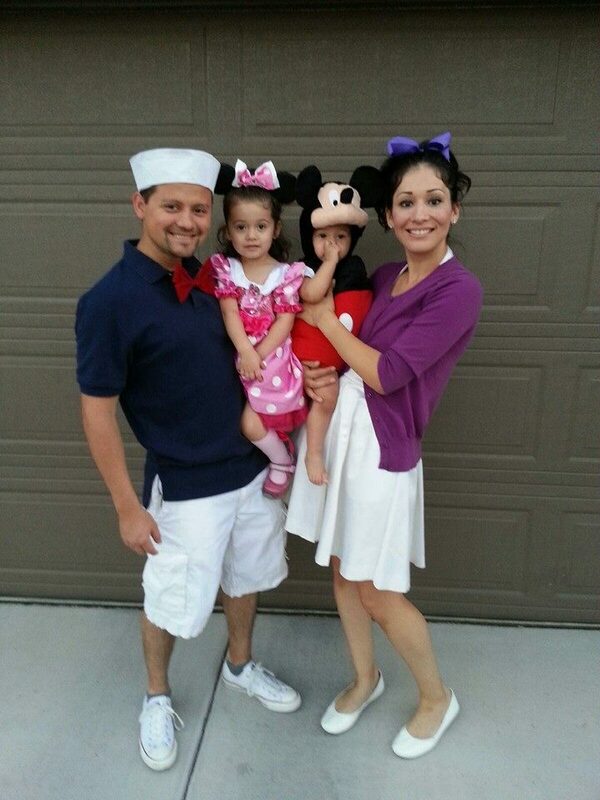 –Did your family do theme costumes growing up? –Do you love dressing up? 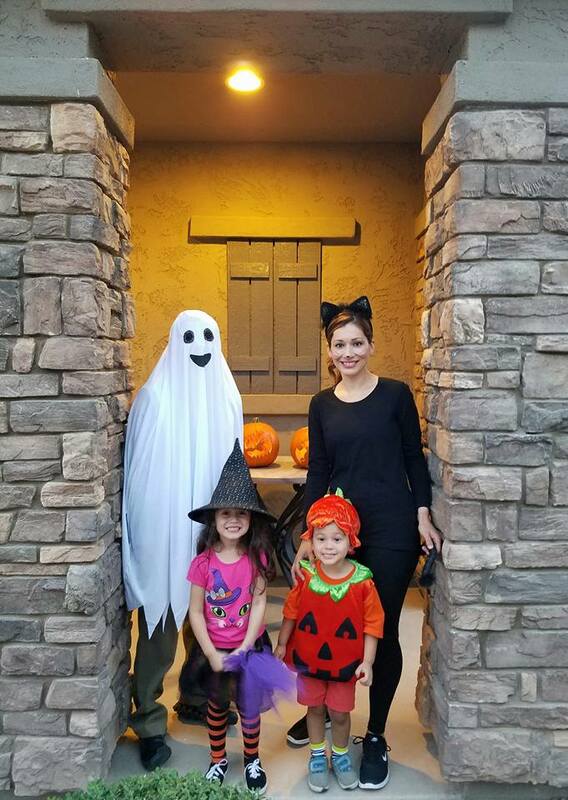 What has been your favorite/most memorable costume? It’s been a week of reminiscing as I’ve been reminded of a lot fun memories that happened around this time of the year. Two years ago, in a lot of ways spontaneously, my husband and I flew to Europe (Spain, Italy, and France). 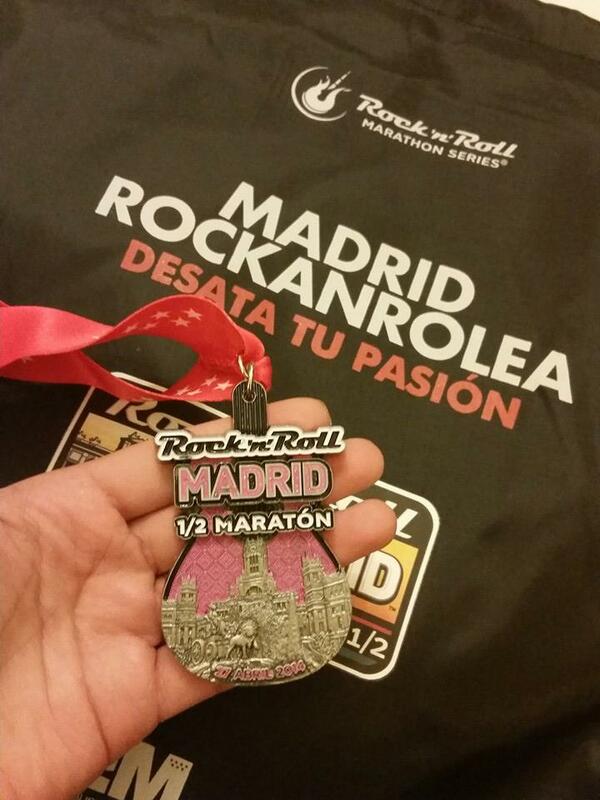 We ran Rock n Roll Madrid, Spain April, 27th as our first out of the country race. It was an absolute blast and super interesting to see how races are somewhere besides the States. I wrote about it here, but one of the funner tid bits was that there were no portapotties!! Or like, very few. I remember as a I ran, seeing dudes just pull up to the side and do their thing, lol!! Another interesting note was that the water stations consisted of water bottles, not cups. It pained me a bit to see people take sips and then toss the bottles but then remembering how expensive bottled water was in Europe, I decided to hoard some and run double fisted. There were no waves. As soon as the horn blew, everyone just went. There were corrals but I wasn’t sure the purpose if everyone started at the same time, lol! And boy, was it crowded! Oh , and it was vastly men running and my bib had a big fat “F” for female. 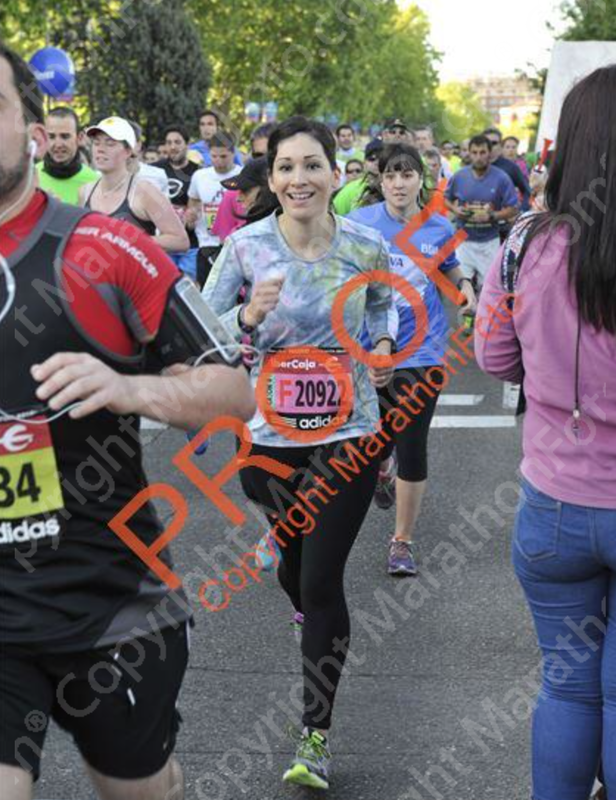 Anyway, Miranda @ThoughtsAndPavement commented on my recap that she’d run the race this year and reignited the fun times I had during the race and my time in Europe. She also noticed many of the same things, most especially how crowded the race was. 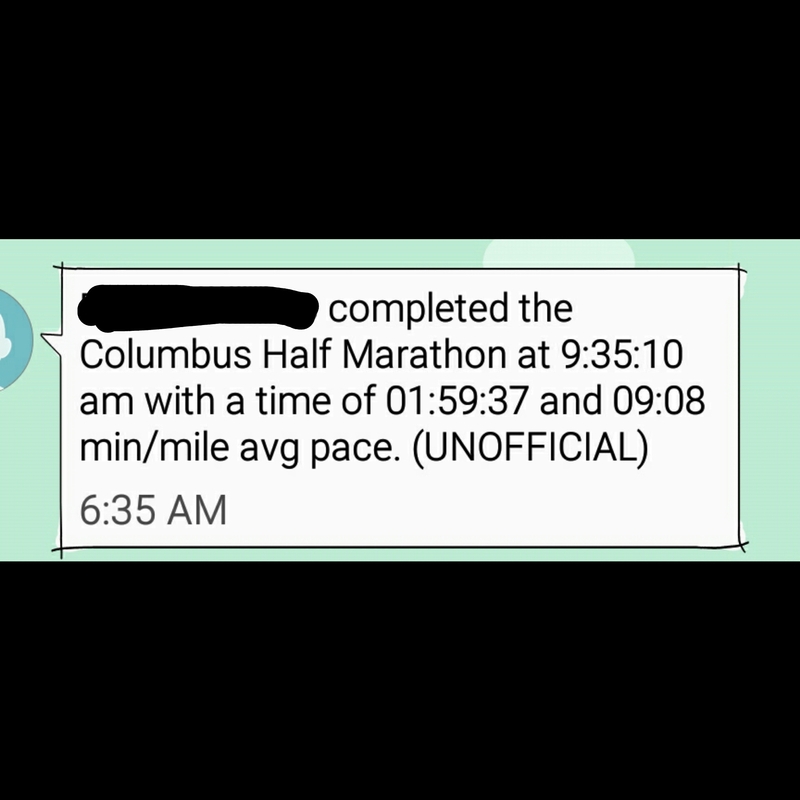 This weekend last year, I flew to Ohio, also sorta last minute, to see my brother run his FIRST half marathon. He had been training hard, and I was so proud of him. 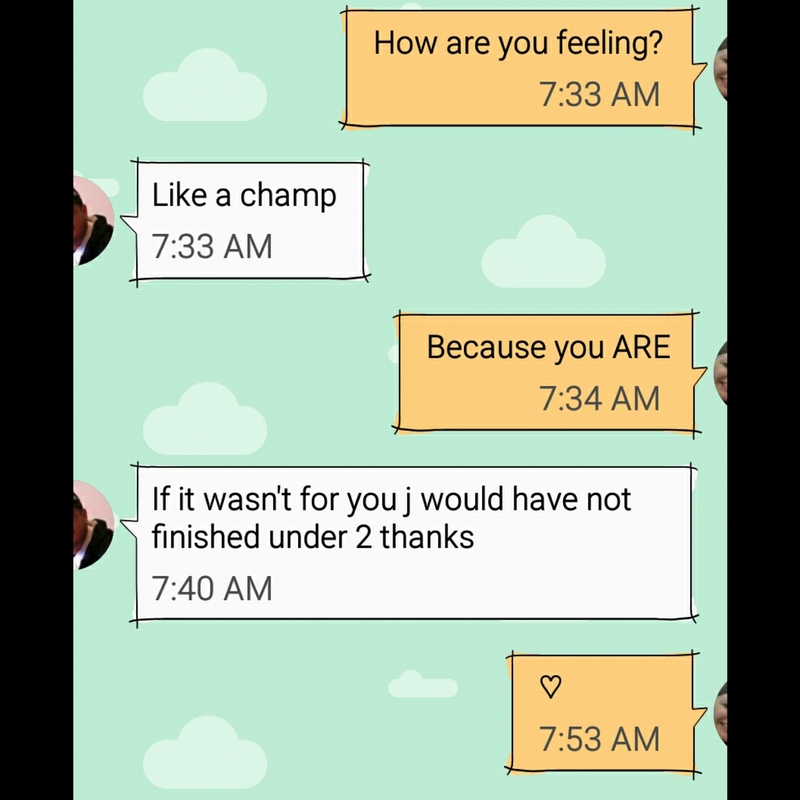 I said out loud to my husband after reading one my brother’s training runs (he texted them all to me ❤ ) how I wished I could be there to see him. My husband immediately got me a plane ticket. I’ve written about my brother before and his amazing transformation. 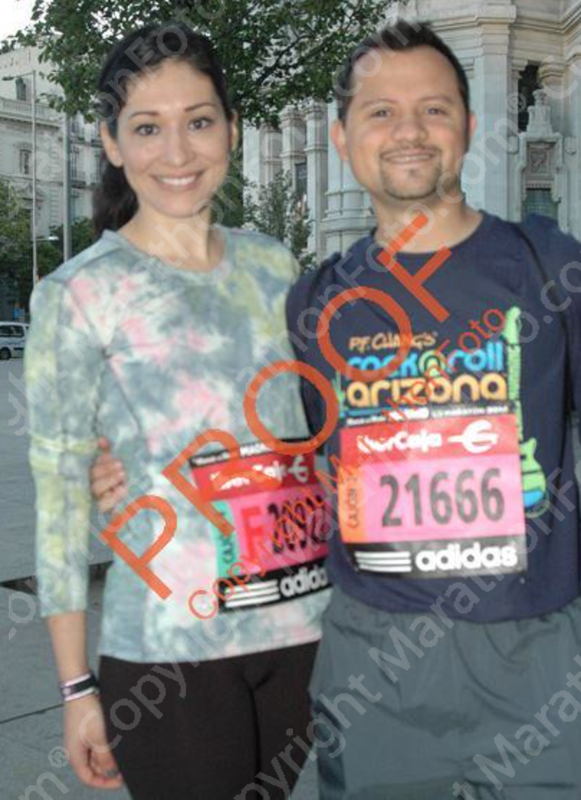 A total non-runner, overweight, sedentary but awesomely good guy. 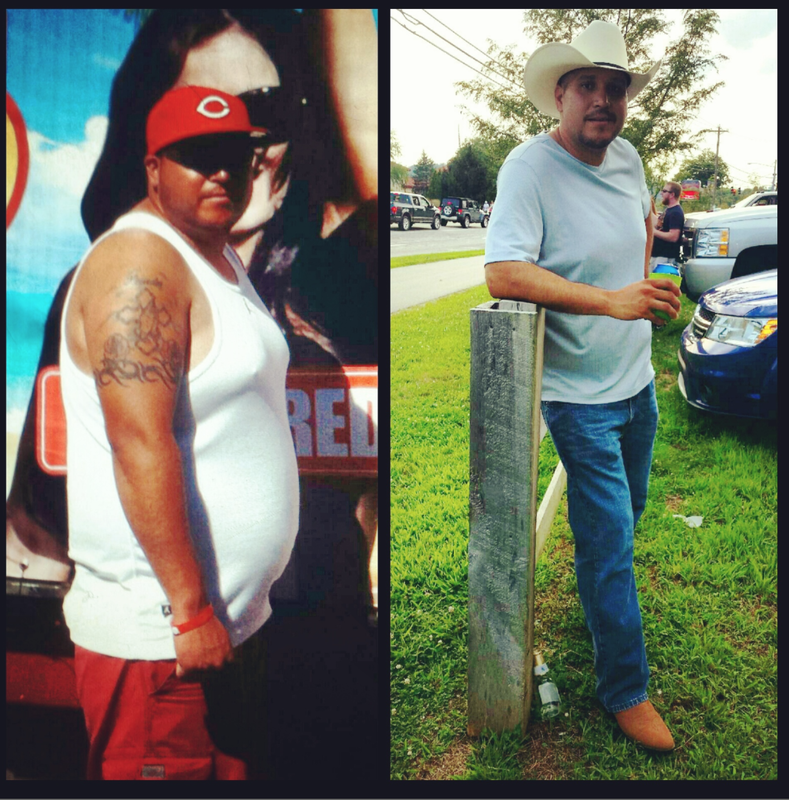 Last year, he lost over 60 pounds and completely changed his life. 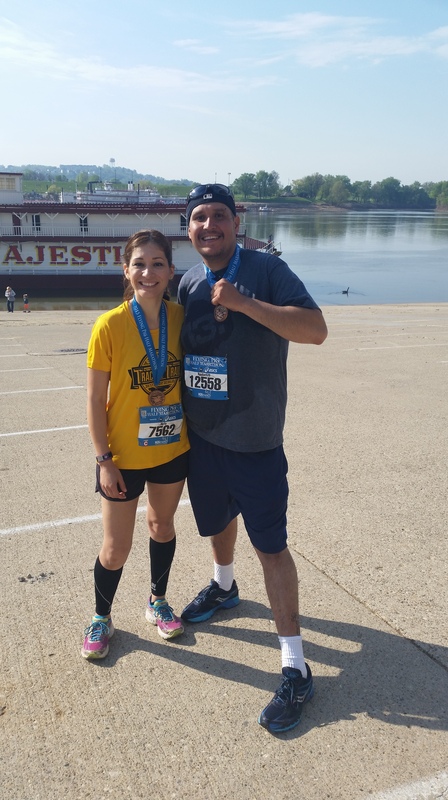 The Flying Pig Half Marathon last year was his first half, and he shocked the hell out of me by finishing in 2:10, smashing his sub 2:30 goal. 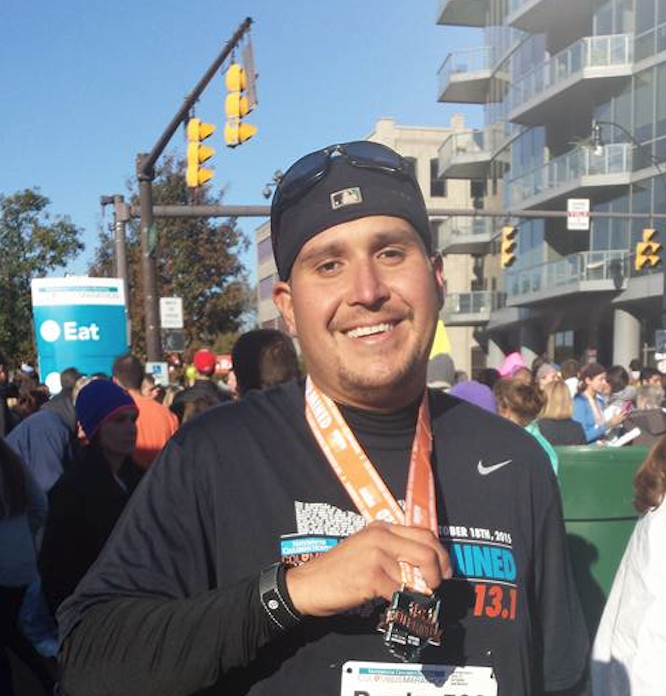 He ran a second half marathon later in the year with a lofty goal of snagging a sub 2 hour half. And you know what? 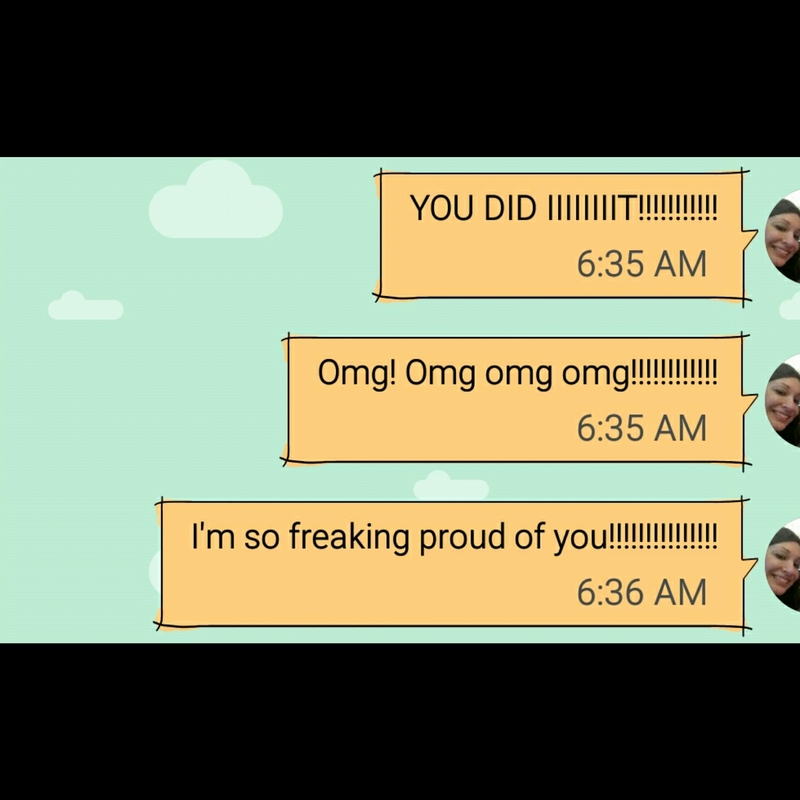 He did it!! –What are some of your favorite running memories? Anyway, I’ve also haven’t been able to catch up on reading others and/or commenting–the holidays are so time consuming! I hope everyone has been doing well. We’re in a new year and everyone has recapped their 2015 and discussed their 2016 goals and well, I’m not sure I have a whole lot to say about either just yet, lol! 2015 was a tough year for me running wise. I had my first DNF and zero PRs or AG placements. I started the year with a half marathon where I was less than 15 seconds from a PR, had two half marathons where I was less than 2 minutes from sub 2 hours, one marathon where I was again, seconds from a PR. Yeah, it was that kinda year. Don’t really have much else to say about that, lol! Looking back at last year, 2015 wasn’t about me at all. It was all about these two guys. My brother had an absolutely amazing 2015 losing more that 75 pounds and finishing two half marathons and snagging a sub 2 hour one at that! There is no way that I won’t think of 2015 and not think about him and everything he accomplished. It means way more than anything I could’ve done. I won’t look back at 2015 and be sad. Not one bit. 2016 is exciting. I have so much unknown as I don’t have a lot of races planned. I think this is good. With that lies so much promise. It’s nice to not have any idea of what to expect. 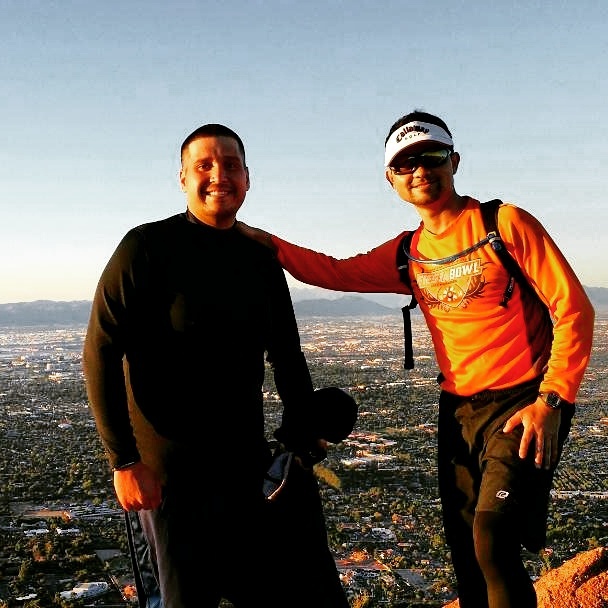 The only thing we have planned is crossing the Grand Canyon (R2R2R) in May. I’m home now, and I think that will help with my running–not having the stress of work and just being able to focus on family. I know that will be something positive for 2016 in many ways. Like I said, I haven’t really thought about the future so I don’t have any “goals”. I think maybe this year I’ll just take it day by day and not put so many expectations on events/races/things. –What are you looking forward to in 2016? –Do you have any goals/resolutions?